Leadership comes in all shapes and sizes, and while effective leadership can get a startup to skyrocket nearly overnight, ineffective leadership can just as easily break down a business. 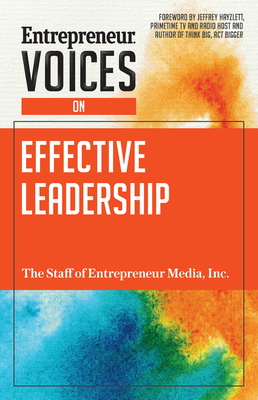 In this book, Entrepreneur's community of small business owners and entrepreneurs share their battle-tested strategies, hard-won advice, and impart the secrets behind what works and what doesn't when it comes to leadership in the startup business world. Effective communication in leadership positions Servant leadership and team-focused leadership Leadership development among team members Leadership transitions and new leadership Common habits and traits of successful leaders Advice strong leaders should and shouldn't listen to.